It’s been eight years since a South African won The Masters. 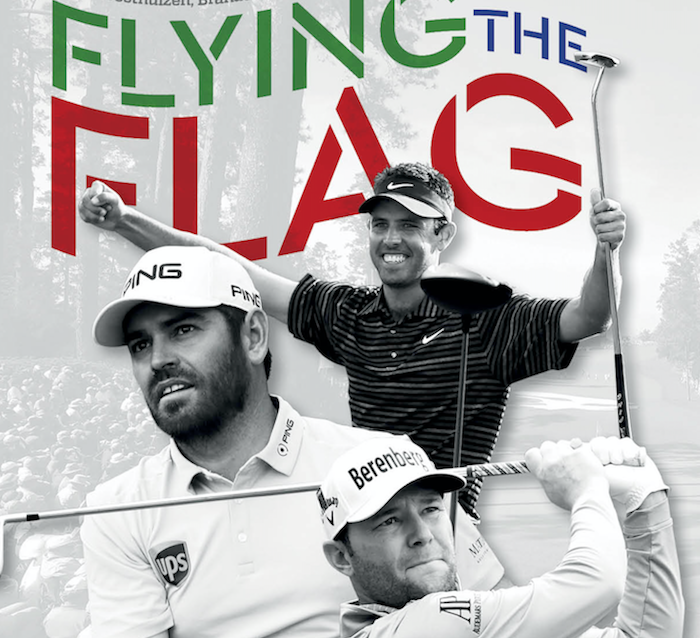 This year our main hopes lie with Louis Oosthuizen, Branden Grace and Charl Schwartzel. Every golfer dreams of winning The Masters, and no doubt many have created a movie in their head as to how it would pan out. Making birdie on the final hole by chipping in – or sinking a treacherous 35-footer for victory would have to be near the top of that vision. There are probably those who would prefer the less dramatic and nerve-racking route, like the one Tiger Woods took in 1997 when he led by three shots at the halfway mark, stretched it to nine after 54 holes and eventually won by 12 strokes after rounds of 70, 66, 65 and 69. However, in daring to dream, when the moment arrives it’s an experience unlike anything you could have imagined. South Africa has produced three Masters champions over the years – Gary Player (three times), Trevor Immelman and Charl Schwartzel, although there was plenty of hope and expectation around Ernie Els, particularly in the early 1990s when he twice finished runner-up. What does The Masters mean to Els? Schwartzel, the winner in 2011, says: ‘Winning on the European Tour is one thing and I won’t take away from any of my victories. But it’s nothing like trying to win at Augusta. Came so close to making it back-to-back South African winners when losing out on the second playoff hole to Bubba Watson in 2012. He had made an albatross-two on the 2nd hole in the final round, only the fourth ‘double eagle’ in Masters history, and he held a two-shot lead early in the round. ‘That was my first double eagle ever,’ he said. ‘So it was tough; it was tough the next five holes to get my head around it and just play the course.’ Watson produced one of the greatest improvised shots of all time when he hooked a ball 40 yards with a 52-degree wedge from 144 yards in the playoff. Of little consolation for Oosthuizen is that he has the ‘grand slam’ of second-place finishes at the four Majors, as well as for the ‘unofficial fifth Major’, The Players Championship. Then just 26, he birdied the last four holes, going 4, 2, 3, 3 for a final-round 66 to win the 2011 Masters by two shots over Australians Jason Day and Adam Scott. The favourite heading into the final round was Rory McIlroy, but he collapsed to a closing 80. Going into the Sunday four shots back, Schwartzel charged through the field. ‘It was such an exciting day, with all the roars. The atmosphere was just incredible.’ No doubt he could also hear the roars back in South Africa. Is in the field as an amateur because of his victory at last year’s British Amateur, the first South African to win that event in 52 years. Best Masters finish: Makes his debut, 0 Masters appearances. *Justin Harding after his win in Qatar. Harding moved to No 52 in the world after that. Should he get into the top 50 before The Masters, he’ll be in Augusta.